Note: This product has been upgraded. Read our review of the Kindle 2. We are big readers. So before Spot Cool Stuff headed for a month-long stay with the family on the coast we picked up a the new version of Amazon’s Kindle electronic reading device. And then instead of packing a small library of bulky novels (and one travel guidebook) we loaded our Kindle with all our literature. The Kindle, we soon found, was also able to replace our need to buy paper newspapers. As we write this review it is a month later and we find ourselves on an airplane headed home. What we learned about the Kindle during that time was this: It is really cool. (Hence the review here and not on Spot Mediocre Stuff). In fact, the Kindle has reach that highest Parthenon of devices we consider a must-have. But before you shell out $350 on your own Kindle you should know that it does comes with a few downsides along with its superlatives. Read on for the pros and cons of owning your own Kindle . . .
Amazingly clear and pleasing screen. This is perhaps the Kindle’s best quality. 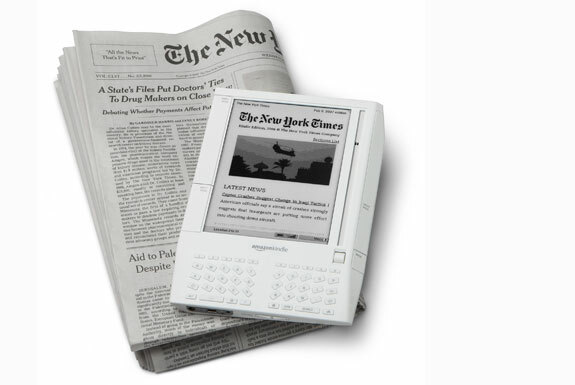 Its “e-ink technology” makes the screen look like the page of a real book. Before hopping the plane on which we write these words we spent four straight hours reading at the airport (thank you for flight delay, United Airlines) without experiencing eye strain. Wireless connectivity. The Kindle hooks up to the internet not through wi-fi but through the same network used by mobile phones. Once you have a Kindle account you can download new books from anywhere you can get a decent cell phone signal, with no mess or no forms to fill out. Useful for more than just books. Because it is wireless you can use your Kindle to read newspapers, blogs, Wikipedia or even go shopping. We set our Kindle to download the main stories from The New York Times every night. First thing after waking up, we’d grab a coffee and our Kindle and go out to to the beach to read the newspaper (where the mild breeze caused us none of the problems it would with a dead tree newspaper). Very cool looking. When we used the Kindle in public places it was constantly drawing ooooohs and aaaaahs. Super lightweight. It weighs only 10.3 ounces (292 grams). Buying new e-books is fast and convenient. 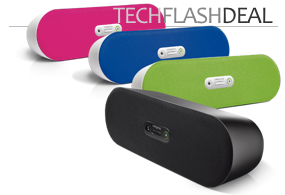 In addition to downloading wirelessly you can download via your computer and sync. Bookmarking. You can create links to any word on any document. Exceptionally long battery life. You can read about 40,000 pages on a single charge. The Kindle is also fast charging. Comes with a built-in dictionary, which we used more than we expected we would. The screen only holds about 18 lines of text. This was the most significant drawback for us. We would have linked to have a bit more to read before scrolling. Of course, having more lines also would have made the Kindle larger and, as is, the device is the near perfect size. (Perhaps it could be a little taller). Still, Spot Cool Stuff has always been one to want everything. Hold and feel. There’s something about physically holding onto the Kindle that feels a little unnatural to us. The scroll button placement. Maybe it was the specific way in which we were using the Kindle but we found ourselves occasionally hitting the scroll button on the edges of the Kindle by accident. That didn’t happened often but it was annoying to have to go back and find our place when we did. The scrolling is a little slow when navigating page-by-page with the side buttons; the scrolling is instantaneous when moving one line at a time with the track ball. There are features we wish the Kindle had. We think the Kindle is crying out for a touch screen. Also, the screen only displays in black and white (how 1980s!) and can not show video. The dictionary user interface is a bit clunky. And we wish books could be downloaded at 3G speeds. One final note: Some users have complained about the cost of books for the Kindle. We think maybe this comes from a preconception that electronic content should be free. Most books are cheaper in Kindle-version than in print. Spot Cool Stuff’s airport read, Fareed Zakaria’s brilliant The Post-American World cost us $9.99 on the Kindle book site. Through Amazon the print version would have been $15.57. On balance, we highly suggest the Kindle. Especially if you plans call for air travel.